Our mobile wheel repair and restoration process delivers the solution you're looking for when it comes to repairing your steel, aluminum and alloy wheel(s) from curb scrapes, scratches, chips and pit holes. Our mobile technicians professionally restore your painted alloy rims by using the latest technology, experience and expertise that is trusted with high end models, such as Ferrari, BMW, Porsche, Acura, Chevrolet (Chevy) Ford, Infiniti, Lexus, Toyota, and Mercedes. Wheel repair is a convenient service that is performed in a short period of time and is guaranteed you're 100% complete satisfaction. Our philosophy is and always has been simple, " to provide the highest quality wheel repair and the most friendly, honest & dependable customer service". Ship Your Wheels To RGX! 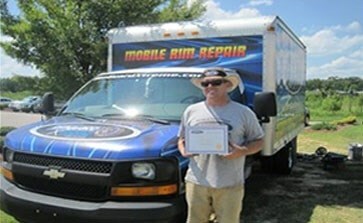 Our nationwide wheel repair is made simple & painless. We will walk you through the entire process including repair options, repair time frame, pricing, & shipping. We will be available to answer any questions you might have during the process. We offer fast turn around times for most repairs. Once we have determined the repair need for our nationwide wheel repair is made simple & painless. 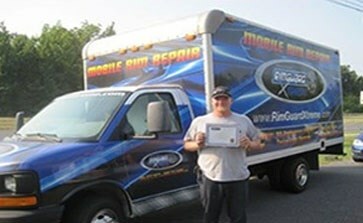 RGX Rim Repair, formerly known as RimGuard Xtreme, has been established for 14 years in North Carolina. RGX has worked to create some of the best wheel technicians in the industry. The company began working directly with auto dealerships repairing curb damage for pre-owned vehicles. As our company grew, we discovered a great need for bent wheel repair. We have since continued this total service attitude by adding weld repair, custom color changes, and chrome repair. We have Premier Rim Repair Shops located in Fayetteville, Wilmington, Greensboro, and Charlotte, NC. 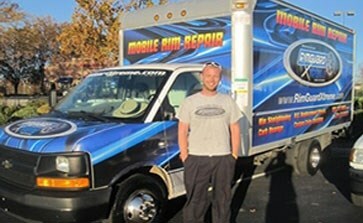 Our mobile technicians work in the commercial division to complete most repairs directly on site. We have worked for the past years to create what we would like to call the best customer experience in the nation. We understand that you are looking for an economical and high quality repair. 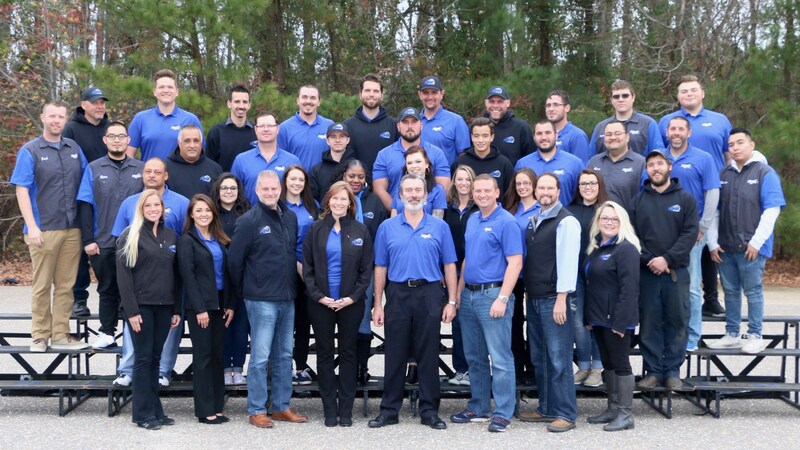 Our team, led by Derek Mickler, will work to ensure that all of your rim repair needs are taken care of whether you are local to North Carolina or across the nation in California. We will always welcome your feedback at /about-us RGX Rim Repair is here for you, the customer.